The flash bulbs. Paparazzi right there to document her, even at her most vulnerable times. People are so often envious of the rich and the famous, and perhaps I can get on board with the wealth but not the fame. I'm not interested and honestly, I don't think I could handle it. I thrive because of my privacy. I embrace every quiet moment I can find. I can't imagine the flash bulbs. Somehow even now, despite everything we know, despite all of the knowledge and information available at our fingertips at a moments notice, we as a society still make light of mental illness and drug addiction. When it is someone we know and care about, it's a heartbreaking problem. When it is somebody famous, it's a punchline. When her whole world was crashing down around her and those closest to her recognized that she was giving up, that she had an appetite for destruction despite knowing the consequences, she was a punchline. I'm not laughing though. It hurts. It would be easy for me to judge. I rarely drink a drop of alcohol and I sure as hell never do drugs. I love my life though. I thrive because of my privacy. I embrace the silence. I can't imagine the flash bulbs. I couldn't do it. I don't understand how people do it. I choose not to judge because who am I to? Am I better than her or anyone else walking in her shoes because the demons I battle aren't quite as loud or damaging? Is my life more valuable? Would you shed a tear for me during my downward spiral, or would I just be a punchline? I never want to be a punchline. A lot of documentary filmmaking feels monotonous, even when the subject matters are strikingly different. Faces staring back at you telling a story from their point of view, over and over and over and over. Just interviews with the occasional cut away shot, the static camera begging for a fascinating topic just to hold our interest. Even when it does, even when captivating, many docs fail to stand out among a sea of innovative cinema. A temporary journey that ends when the frames do. They rarely linger beyond that point. 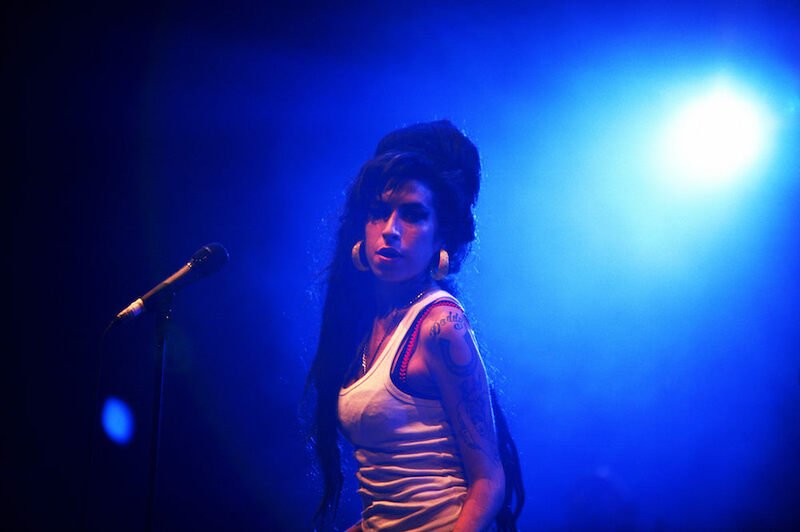 Amy is different. It's an extraordinary film that I finished watching but it has not ended. I can't shake it. Directed by Asif Kapadia, this is a work that almost feels prophetic or even fictional because it is carried not by giant faces painting pictures with words but by the actual art instead. 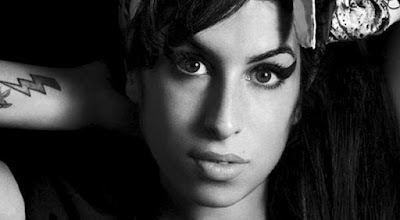 So much footage of Amy Winehouse living her life, a backstage pass into her troubled but all too true world and it is touching, haunting, and powerful stuff. When a friend or family member grabs the paint brush they do so merely to enhance the already gorgeous portrait we have in front of us. 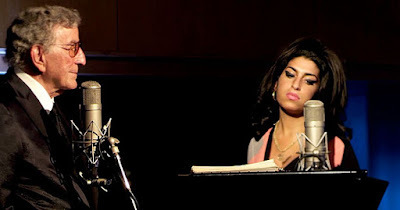 Delivered in voice-over while we constantly see Amy, at times beautiful and full of life and at other times wasting away, fighting a losing battle against herself and her pain, this is a film that is pieced together spectacularly. I have watched so many documentaries over the years but nothing has ever felt like Amy. The tears that welled up during the final, devastating images stand alone. Truly one of the most brilliant pictures of 2015, I was going to sleep on this one but I couldn't. I literally couldn't. When I closed my eyes I kept thinking about how a human life can go so off the rails when they were so talented, had so much to give. One day her voice could fill a room and the heart of a listener, so soulful and unique. The next day she is carried out of her home in a bag, never to be heard from again. Amy wasn't perfect. Far from it. She was human though. She was a person who loved and was loved in return. At her darkest hour, the flash bulbs were still there, surrounding her, consuming her. While her mother and father and friends and lovers and colleagues and fans wept, she was a punchline. It hurts.